1. Research has shown that when a child has a latent gift or some form of exceptionality and they receive good emotional support early on, the gift has a good chance of being realised and meaningfully integrated into their life. Piano with Soul provides this support. And, although the research sites children here, I have seen this with every person I’ve worked with – young or old. Allow me to notice where a learner is in terms of their formation and development as a person, as well as where they are educationally. Allow a sense of what is needed in order for a deep and profound learning experience to occur. Enable a creative process to develop around how these subtleties and needs can best be held and taken forward by Piano with Soul. Allow an innate creativity around paths of individualised learning within the natural flow of the piano teaching process. The level of joy that might come forward as someone plays and learns. The intense desire of a learner to explore a focused direction for a long period of time eg. composition. An issue or mindset that is blocking educational success and the joy of learning. An individual orientation to learning – and the development in the learner that naturally flows if this is held and supported. A new quality or ability that is developing in the learner that need space to deepen. 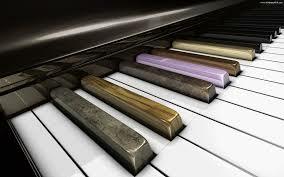 Piano with Soul gives the room and time necessary to work with whatever comes forward for each learner. This allows full integration of the gifts and developmental shifts which are possible through the process of learning something new. As a result, what unfolds for each person is unique and is a natural consequence of the learning process of that individual.